Welcome to Gadget Dreams and Nightmares, the column that leads you by the hand through the sprawling labyrinth of gadget announcements to find the hidden treasure. In our chest of delights this time around are the latest MacBook Pro, Nintendo's new console, and a smartphone from Huawei. As always, these are not reviews, partly because some of these items are months away from hitting retailers' shelves. The ratings relate only to how much I'd like to try each item. 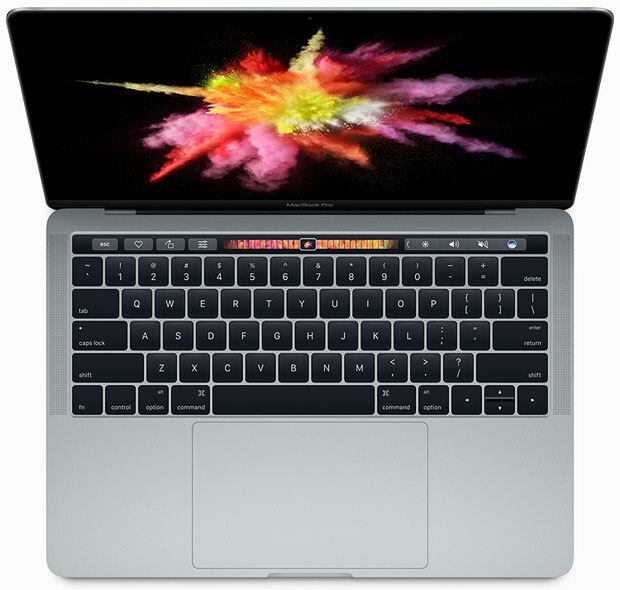 Apple has unveiled a redesigned MacBook Pro, giving the company's core laptop its first full refresh in a few years. The design has metal on all sides, along with a Force Touch trackpad double the size of previous versions. There's a customizable OLED touch strip above the keyboard that responds to gestures and taps -- a demo indicated one might use it for fast access to various emoji or for secondary controls within an app. It essentially replaces function keys, but with far more purpose and control. To the side of the Touch Bar is the second-generation Touch ID module for fingerprint authentication. Naturally, it's the thinnest, lightest MacBook Pro ever, because Apple and hyperbole are tighter than Velcro and fabric. The display is 67 percent brighter and displays 25 percent more colors, though apparently somehow eats less power than before. The battery apparently lasts up to 10 hours on a single charge. For connectivity, there are four Thunderbolt USB Type-C ports and a 3.5mm headphone jack, which Apple clearly displayed great courage to include. However, there are no HDMI, USB or Thunderbolt ports, or any memory card slots. The Type-C ports are all you get -- even if, thankfully, there are three more than in the previous MacBook. I'm sure it's shinier and prettier and smarter and thinner and faster than ever, and that's well and good. Aside from the compelling Touch Bar, though, there's not a lot to get truly thrilled about. Excising regular USB ports mean you'll need adaptors to connect many of your peripherals (including your iPhone). I'm honestly just waiting for Apple to fit an operating system and processing power into an eye implant à la Black Mirror. Regular readers will note I am a lifelong lover of games, and particularly Nintendo. I remember how excited I was as a 6-year-old to unwrap my Super Nintendo on Christmas morning. I've devoted many, many hours to Super Mario World and my favorite game of all time, The Legend of Zelda: A Link to the Past, in the quarter century since. The Wii U didn't much excite me, except for the tremendous Super Mario Maker. However, the latest Nintendo offering, Nintendo Switch, offers a look at a new future for console gaming. Switch is a hybrid system that, when nestled into its dock, connects to a television. So far, so traditional. However, when you lift Switch out of said dock, it instantly transforms into a portable gaming system with a high-definition display. The device has two detachable Joy-Con controllers, with one connected to each side. These can stay separate, connect with an accessory to become a more traditional controller, or be used as individual controllers for some multiplayer games. Switch also will support a standalone pro controller. Switch uses GameCard cartridges instead of discs, which suggests the system may not be backward-compatible with Wii or Wii U games. Gamers can connect multiple Switch systems for local multiplayer play. It seems like Switch is designed to replace both the Wii U and the 3DS, which is curious, since Nintendo's handheld systems have performed well for some time. Even with such scant details (the Switch doesn't go on sale until March), Switch is an utterly compelling console. It looks like it's going to hit the right balance between casual and more passionate gamers that the Wii and Wii U consoles never were able to find. Plus, there's that wonderful IP in Mario, Zelda, and so many other titles. I truly can't wait to get my hands on one, and then proceed to lose easily in a game of Mario Kart. I've made no bones about being someone who's probably an iOS lifer at this point, but if anything were to push me into switching smartphone teams, it'd be something like the Mi Mix Android phablet. It seems a little larger than I'd like, with a 6.4-inch screen, but that's almost entirely screen real estate -- the display takes up 91.3 percent of the body. It looks gorgeous, almost like the pure glass phone of Jony Ive's dreams. It's not quite that, though, as the rear and side buttons are made of ceramic. Ultrasound takes the place of a proximity sensor, which is neat, and the Mi Mix houses 4 GB of RAM, 128 GB of storage, and uses the same Snapdragon processor as Google Pixel. There's a rear 16-megapixel camera -- though weirdly, the front-facing camera is at the bottom of the phone to account for all of that screen space. Again, the design is spectacular. It's probably the best-looking smartphone I've seen since the iPhone 6. It's a shame that you'll likely need to pay a premium to import one from China, when Xiaomi really could have something on its hands were it to take this globally. I'd absolutely be tempted to get it, even if I am bound to my contract for another year.